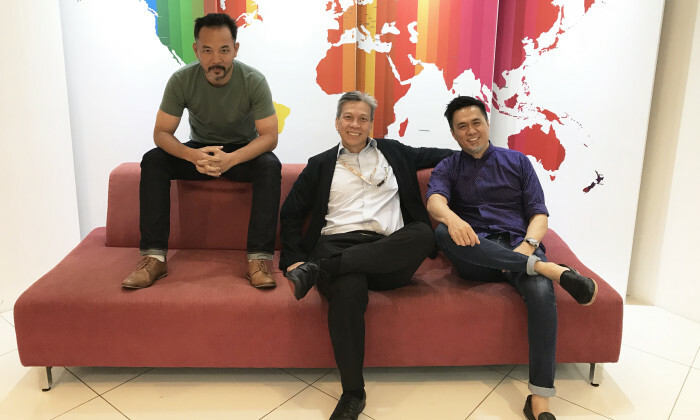 FCB Malaysia is changing ownership and transforming into a Malaysian-first agency. The agency is now owned fully in an equal three-way partnership between Ong Shi-Ping, chief creative officer; Liew Kok Heng, CFO and Shaun Tay, CEO. Tay confirmed to A+M that it is a full buyout and the senior management team on ground will remain unchanged. In an exclusive interview with A+M, CEO Tay said that despite the buyout, the agency remains “very much a part of the FCB Worldwide network” as an affiliate business partner. The new structure, he explained, gives the agency the ability to operate quickly and efficiently based on market conditions. However, being an affiliate of the FCB Worldwide brand, the agency will continue to have access to a pool of global clients, agency tools and resources. “The result is that we really are a best-of-both-worlds agency – a locally focused boutique agency with the ability to call on the power and muscle of a network giant,” he said. “We’re still FCB Kuala Lumpur and we still identify with the greater FCB creative vision of being ‘Never Finished’,” Tay added. He explained that the equal split was also a vital aspect of the new found independence, as it represents the “real dynamics of running a creative business where people with complimentary skill sets align” for a positive outcome. “I’m very conscious of the limitations to my own ability and know that the best chance of success for the agency is to have its most experienced talents fully invested in a shared goal,” he added. As part of its long-term strategy, the agency will now allow additional members of the senior team to take a stake in the business. While it is currently not hiring any new members and stabilising its 40-member team, a next generation of the leadership is also being established with the promotion of Syed Ferohaizal to head of creative and Jamie Tan to operations director, to join Natasha Aziz, head of account management and LiLian Hor, head of digital. Tay said the move to independence was spurred by the difficult year the agency had in 2016, which necessitated a major restructuring of the agency. “We devised an ambitious turnaround plan that we were confident of pulling it off, but this meant us making a commitment to the future of the agency, and its people. We had to ‘walk the walk’ and not just talk glibly about it,” he added. As such, last year the agency saw 11 new client wins including RHB Bank, Motorola Asia Pacific and TARH’s Desaru Coast. When asked for his vision for the future, Tay said creativity has always been its focus and will continue to be its future. “This is our focus and being locally owned allows our people to focus on doing great work this without the distraction or fear. Call it old fashioned and simplistic, but that’s why I joined advertising – to create ideas that influence people,” he added. He added that the Malaysian advertising agencies, at the end of the day, needs to clients grow their business. “ We’re getting distracted from what really matters. We’re spending too much time on gimmicks, publicity stunts and building personal profiles. Yes those can be fun for a while but we should be focusing on the work and adding real value to our client’s business, that’s the business. Everything else is out-of-scope,” he added. Tay also said the drive for creativity is also a major reason why the agency shifted its base of operations to Common Ground at TTDI. “Working alongside other like-minded creative people with entrepreneurial spirits is perfect environment to incubate great ideas. After all, one might say we’re a ’start-up’ ourselves,” he added. As a part of this sponsorship, the company will leverage of the confederation's football fans and connect more deeply with its cus..
Partnering up with Singtel, the Guinness pints can be redeemed using Singtel’s mWallet app during the five days of the St Patrick’.. This is the first major campaign launched for Manulife Singapore by Manulife Singapore's SVP & chief marketing officer, Wendy Walk.. He was previously from The Butchers Club, where he was the PR & marketing manager. ..